Two magical things have just arrived for the upcoming second adventure of Newt Scamander in Fantastic Beasts: The Crimes of Grindelwald. 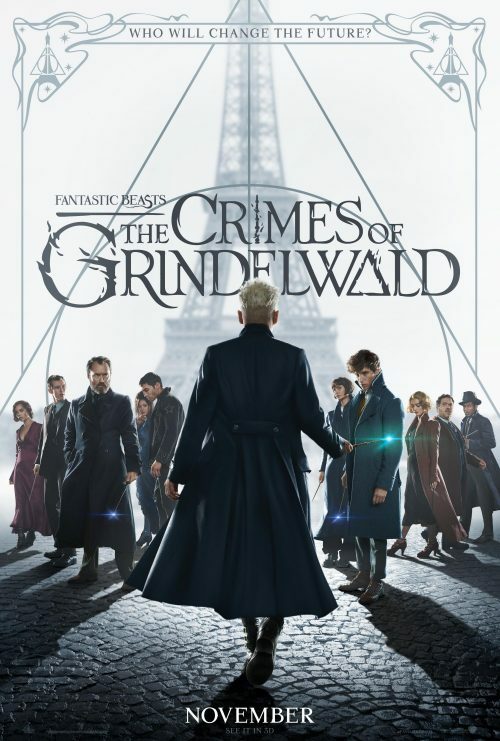 In a way it does look like Grindelwald is wielding a socin screwdriver instead of his wand. The only main problem I have with it is that it’s a classic cut-and-paste job with all the characters thrown into the poster with their size dependant on how far up the credits they appear. It is quite a common thing to do with ensemble films but it would have been nice to have seen only the main cast and not everyone. The other thing we have is a new set of character posters that cover four of the main cast members. showing off their prowess with their own wand.